Thank you for your support during this difficult time. Please enhance this tribute to Alice by adding your memories and photos. 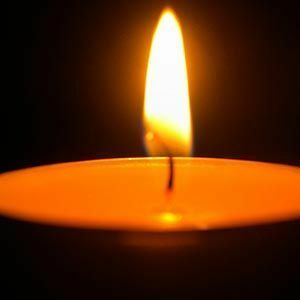 Alice Hill Whitsett, widow of Alfred Whitsett, entered into eternal rest on March 31, 2019. Mrs. Whitsett was born September 17, 1926, in Charleston, SC, a daughter of the late Edwin W. Nelson, Sr. and Gertrude Rabens Nelson Howlett. She was a retired secretary for Westminster Presbyterian Church. She was a graduate of North Charleston High School and a member of Martin Luther Lutheran Church. In addition to her husband Alfred Whitsett, Mrs. Whitsett was preceded in death by her husband, the father of her children, Carl Hill; a brother, William "Bill" Nelson; and two infant sons. She is survived by a brother, Edwin W. Nelson, Jr., (Liz) of Ridgeville, SC; a sister, Peggy Howlett Campbell (Ken) of Summerville, SC; cousins: Betty Jean Huggins and Bertram Ballam (Loy); a son, Gary Hill (Charlene Aldrich); daughters: Nancy Inabinet (Mike) and Marianne Jones; grandchildren: Chris Inabinet (Wendy), Jonathan Inabinet (Laurel), Jeromy Jones (Jennifer), Kristin Davidson, and Melissa D. Mizzell (Beau); great-grandchildren: Mary Liz, Christopher, Mercy, Delaney, and Mylo Inabinet; Jenna Jones; Avery, Will, and Brady Marchant; Noah Davidson and Tripp Mizzell; and many cousins, nieces, and nephews. Funeral services will be held Thursday April 4, 2019 in Martin Luther Lutheran Church at 11 a.m. The family will receive friends at the church one hour prior to the service. A reception will follow. Interment will be Saturday, April 6, 2019 in Riverview Memorial Park at 11:00 a.m. Arrangements by J. Henry Stuhr, Inc. Downtown Chapel. Memorials may be made to Martin Luther Lutheran Church Organ Fund, 1605 Harbor View Road, Charleston, SC 29412. Our deepest sympathy on the loss of your sweet mother. She will be missed, but she is in a better place. God bless you all. To Nancy, family members and close friends of Alice Hill Whitsett you have my deepest sympathy. May all the wonderful memories and the love of God guide you towards peace as you grieve over the loss of your loved one. May God's grace, your prayers, and the support of family and caring friends help to strengthen you during this most difficult time. May her soul rest in the Lord. It was with great sadness that we learned of your love one's passing; please, accept our heartfelt condolences. Gary, Nancy, Marianne, and Families - Our prayers are with all of you as you grieve and remember your Mom Alice. She was a wonderfully sweet and very loving person who was such a pleasure to know. Again, our thoughts and prayers are with you -enjoy your many memories. Life Stories provides friends and families a forum to post their favorite stories and memories of Alice Hill Whitsett ensuring the precious experiences are never forgotten. Share joyful times, post a photo that captures the moments you cherish, and allow others to reply, relive and remember.